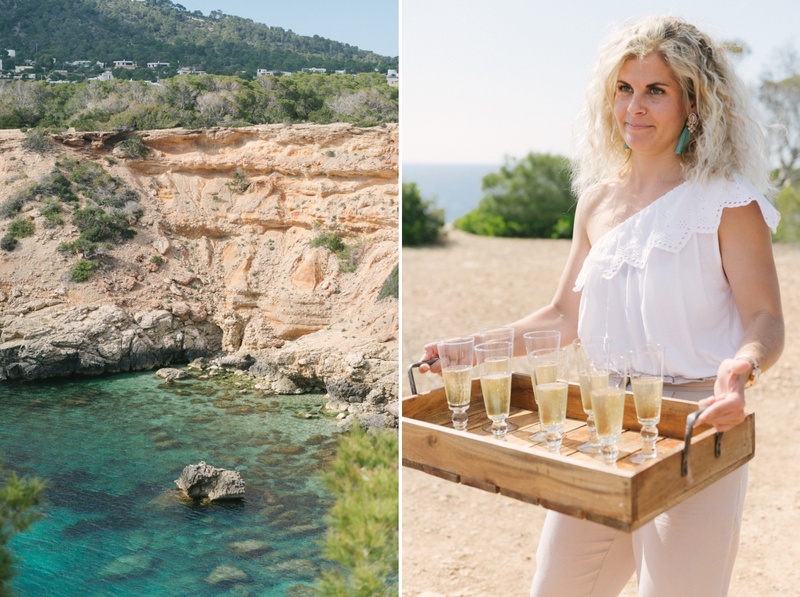 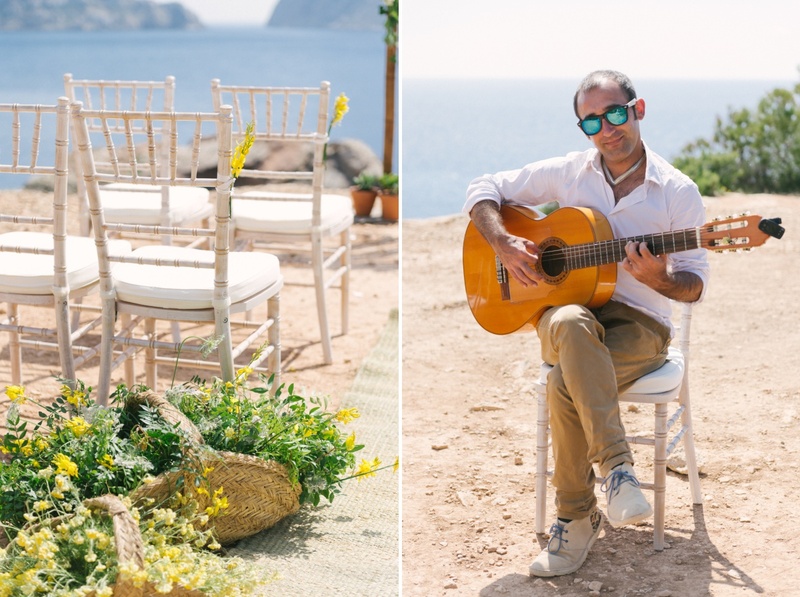 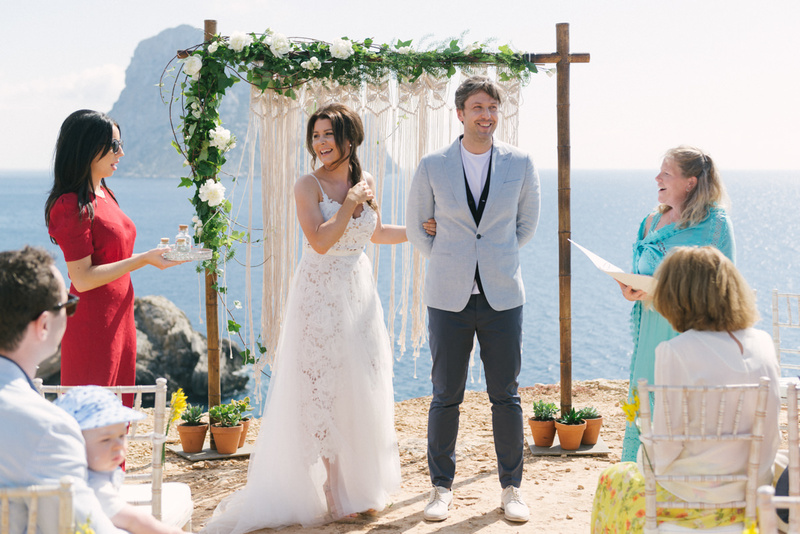 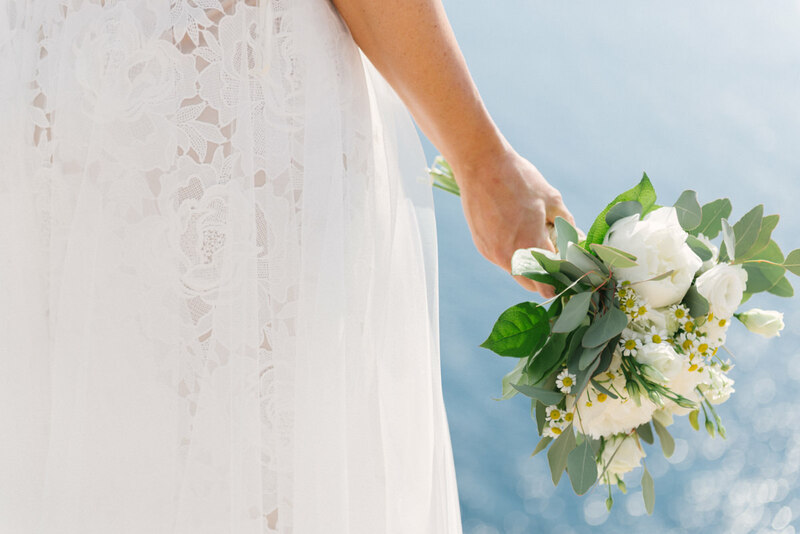 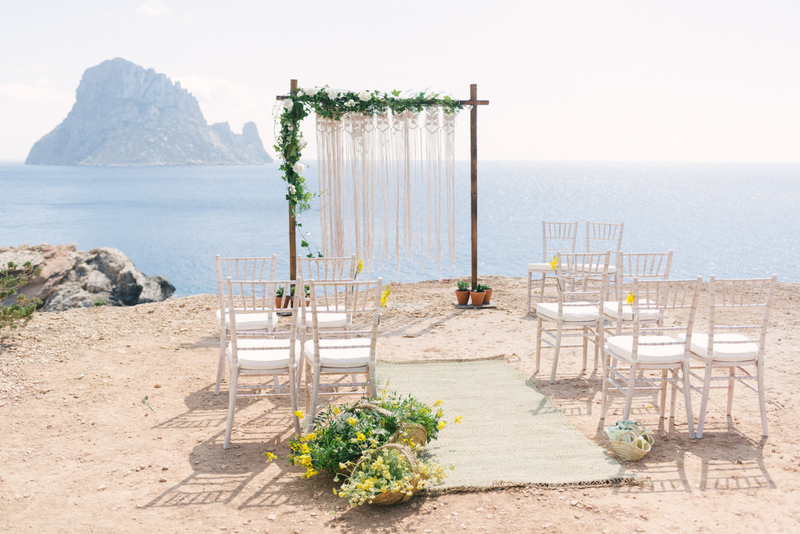 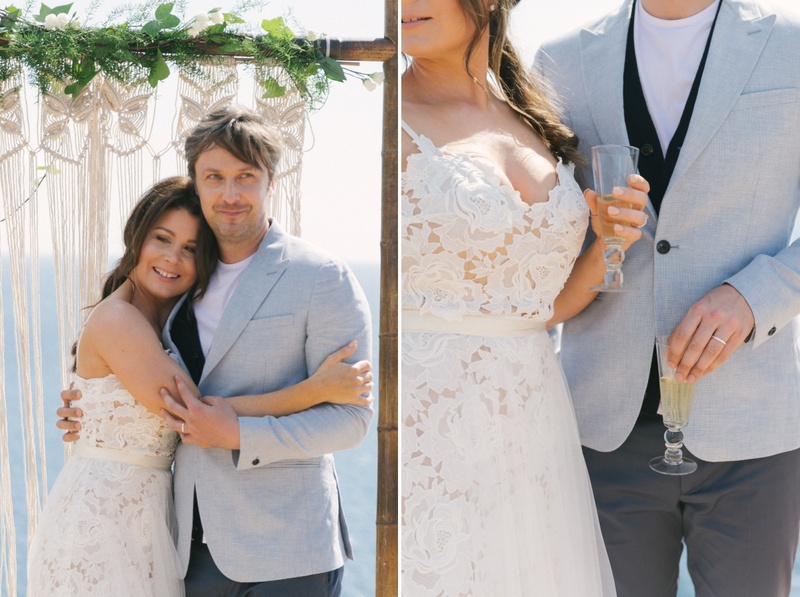 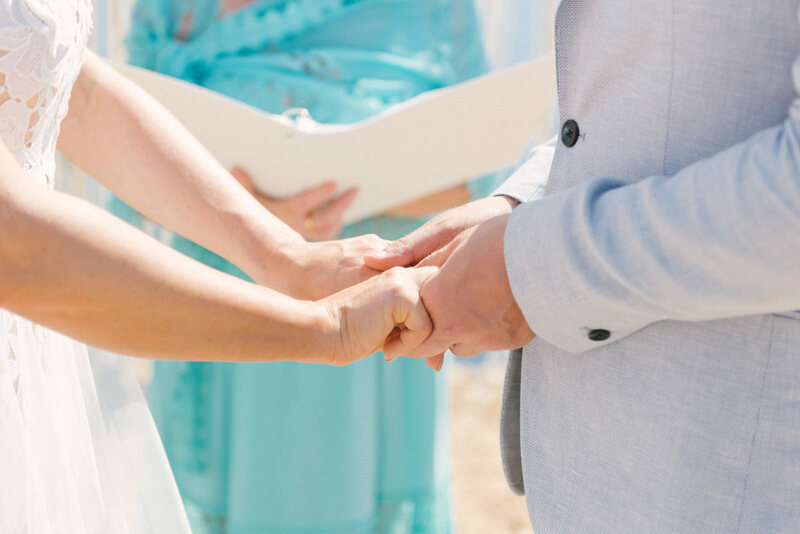 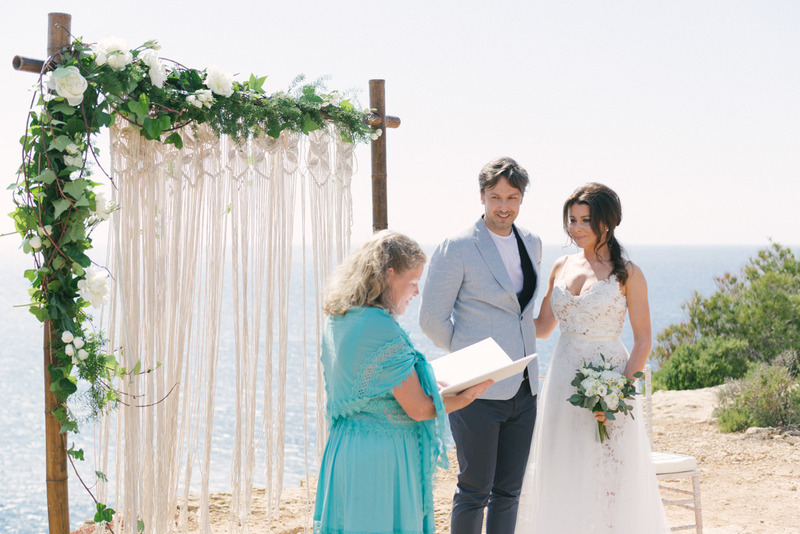 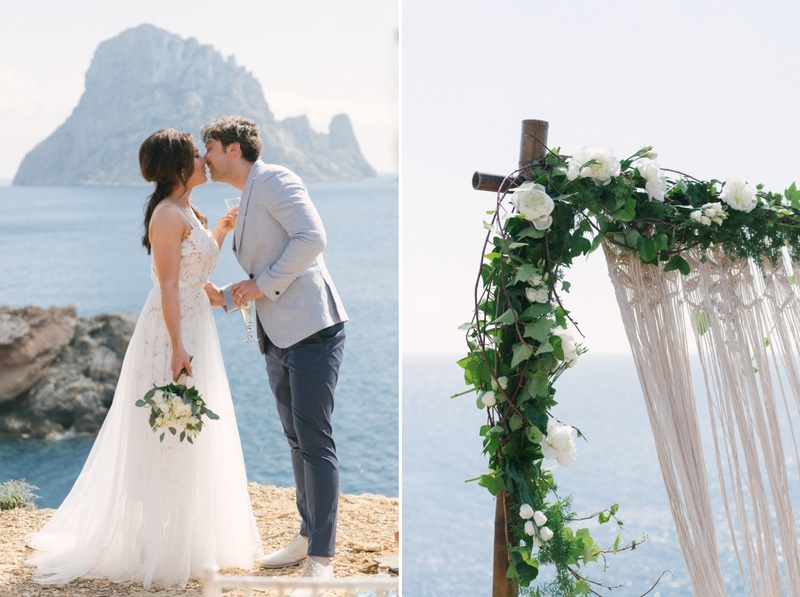 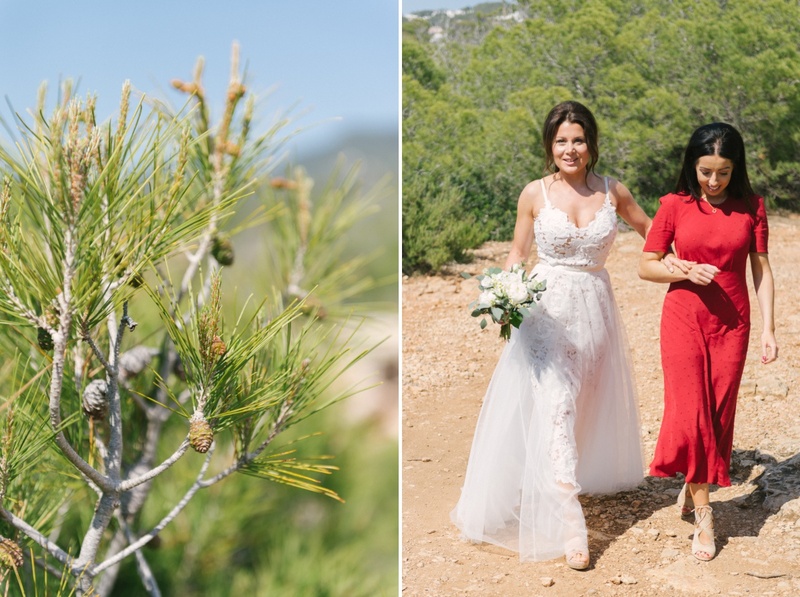 Siobhan & Nick’s Ibiza Clifftop Wedding was an intimate family affair with just eight guests, heavenly views and a Catherine Deane dress to die for. 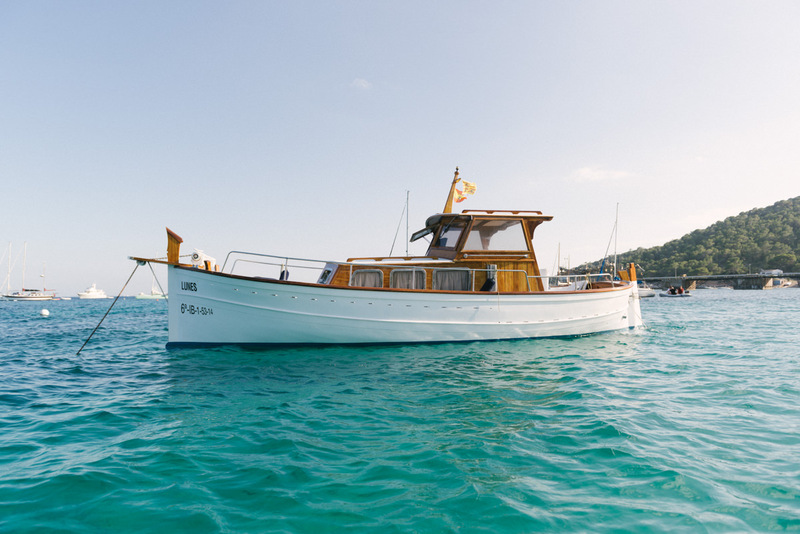 Oh, and a wonderful trip to dinner at Sa Punta in a traditional Ibicencan fishing boat. 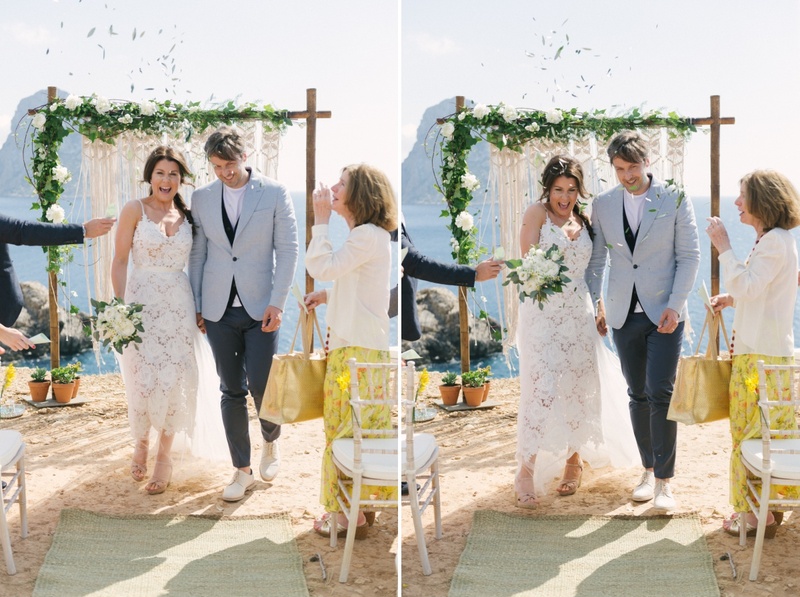 I loved working with this creative London couple, who wanted a stylish, no-fuss approach to their wedding day. 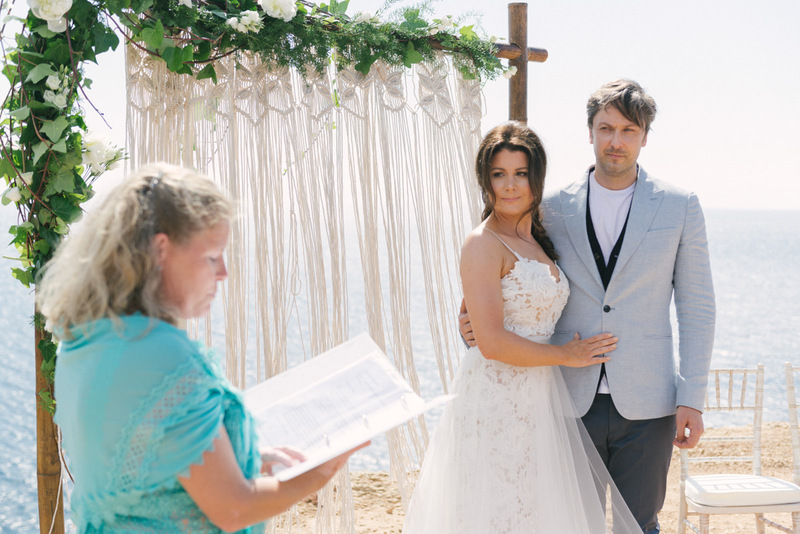 That included the photography, for which the couple asked for no posed images whatsoever, and everything caught in the moment. 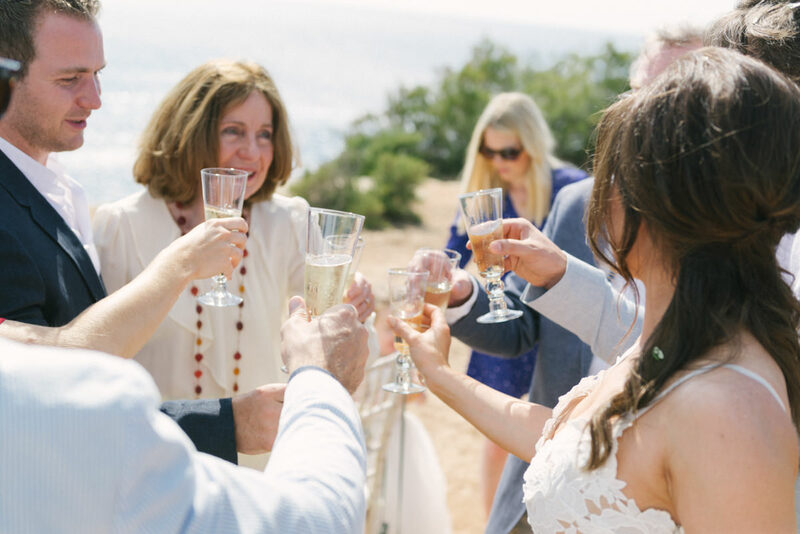 I happily obliged. 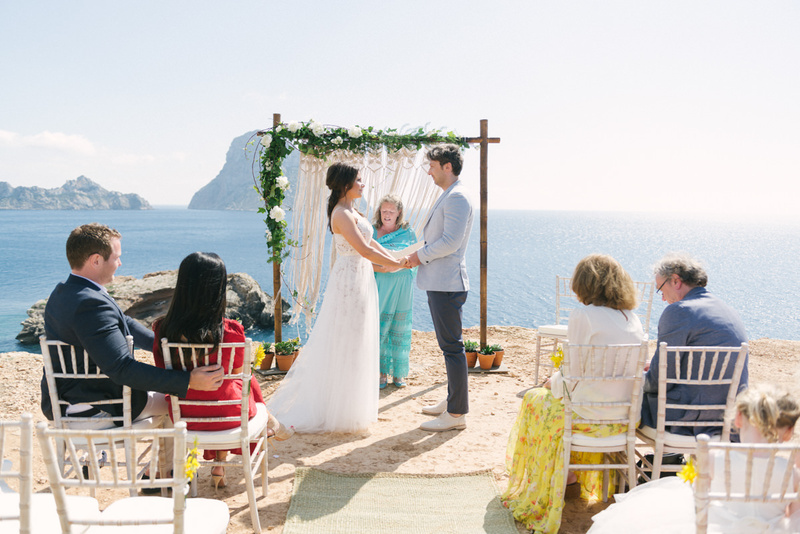 There was something powerful about the clifftop divide which separated Siobhan, Nick & their family from the magical Es Vedrà. 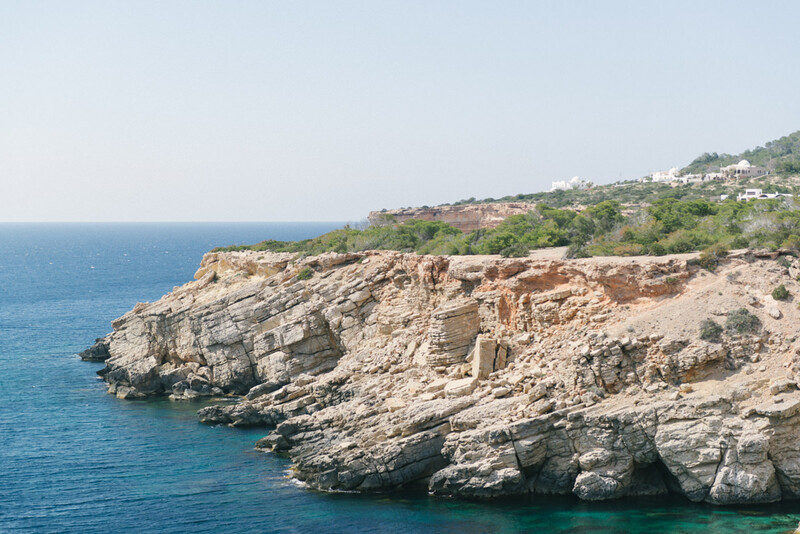 Every now & again I’d catch Siobhan peeking through the macramé arch to the home of Tanit. 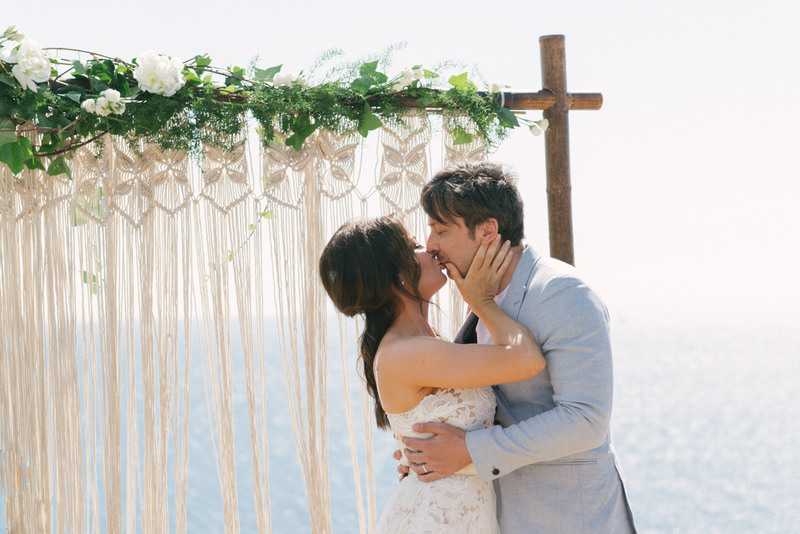 Perhaps the sirens were calling her! 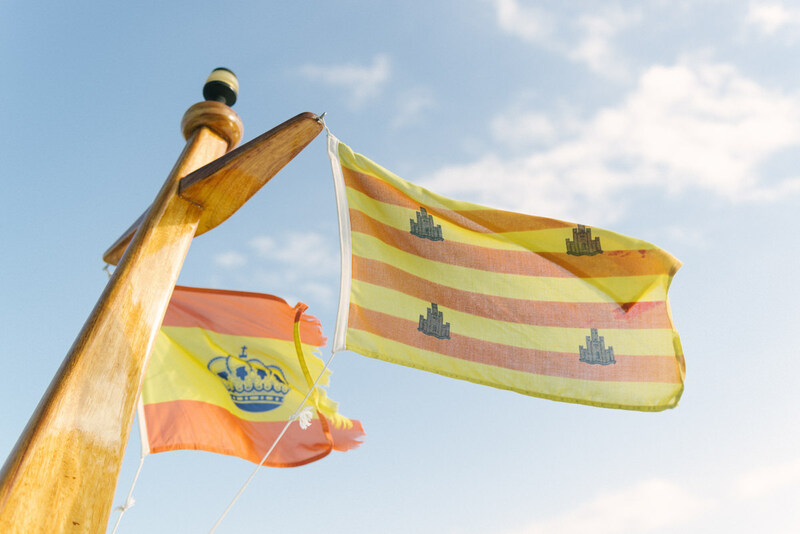 A few kisses & toasts later, we were off to board a beautiful fishing boat for a windy ride to Sa Punta.